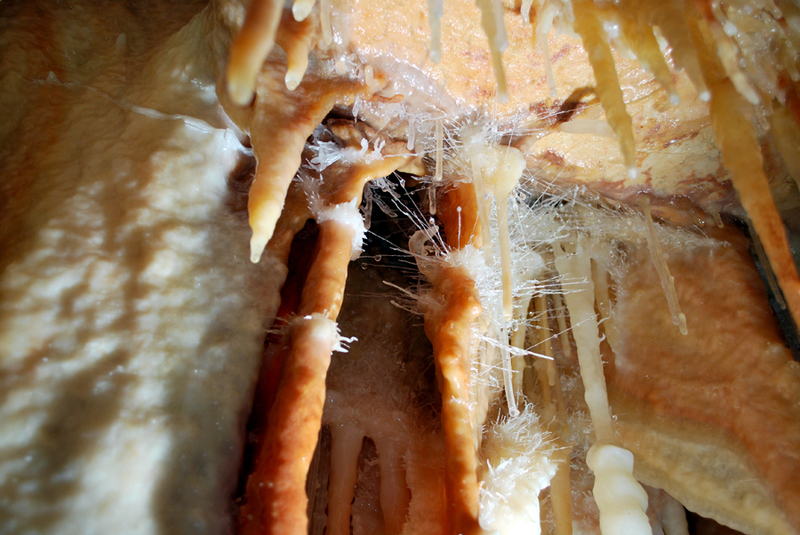 Between the Gorges de L’Ardeche and the Ceze, in Ardeche and Gard , you will find the most phenomenal karstic system with large concretions in France and one of the most fantastic in Europe. When Robert de Joly and his team of the Speleo-Club France went in this area in 1935, the “hole of bertras”, its ancient name, however inspired fear the habitants of village. 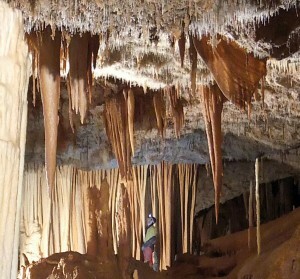 Beyond roughcast spaces of stalagmites in trunks of palm tree or piles of plates of which highest 15 m reach, of the teams led by Jean-Charles Trébuchon revealed (starting from 1965) a succession of vast rooms concealing a profusion of massive calcite concretions forming a long network of more than 4 km. 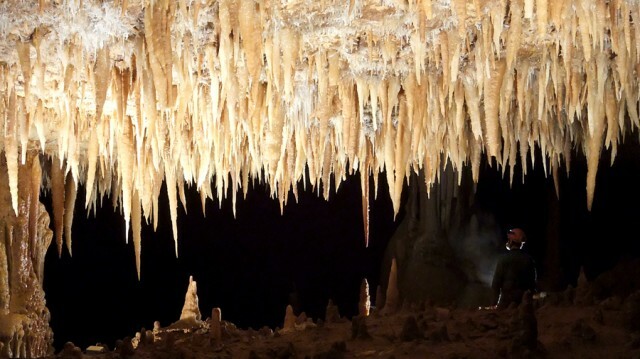 These rooms, of true “underground worlds”, were separate in Orgnac I (tourist part), Orgnac II, Orgnac III (these two last can be visited with a guide within the framework of speleological visits”), Orgnac IV (in integral protection). But about ten colossal columns of the networks nonopen to the public are neighbourly with the 30 m (Large Barrier, Monstre Broken down, Défilé Giants…). Aglets, gallery of the “Sabres”, Plane room, Goldsmithery, Discotheque, are decorated discs of calcite, pillars, draperies, “crystal flowers”.